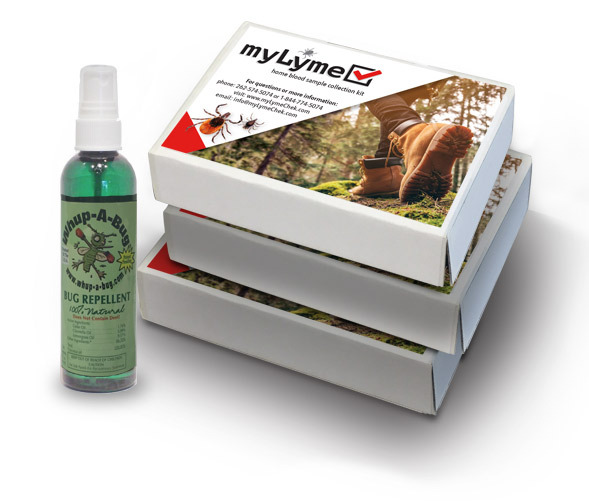 With Lyme disease on the rise, myLyme and Lucky Snipe have joined forces to raise awareness and provide everything you need for Lyme Prevention and early Detection. Don’t worry, we’ve got you covered. The most effective way to avoid Lyme disease is to prevent tick bites. Take action to protect yourself and your family. Whup-A-Bug® is simply the safest and most effective green product available for all your insect repellent needs. Visit Whup-A-Bug® website. Have questions? Need some further information on how to DETECT and PREVENT?